A full rich bodied, hoppy, seasonal lager. 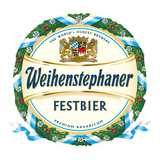 Especially brewed for the Festbier season. Deep gold color, great mouthfeel and lots of flavor.